Love them or hate them, franchise brokers can be an essential recruitment tool for some brands, depending on their stage of growth and timetable for expansion. With today's low unemployment rates reducing the pool of potential franchisees (see page 47), franchisors are increasingly turning to brokers to help them grow. By some estimates, nearly half of all active franchisors use franchise broker networks. "For me, a broker is kind of like a matchmaker," says Eric Little, chief development officer of in-home senior care brand Right at Home. "They find leads that meet the criteria I'm looking for, and then my internal sales team will work them through to a conclusion." The right broker, for the right franchise, at the right time, can play an important role in uncovering pre-qualified prospects primed for ownership in a time when qualified leads are becoming harder, more expensive, and time-consuming to find. "Brokers usually bring you leads that you are not getting from anywhere else," says Mike Hawkins, vice president of franchise development for The Dwyer Group's Five Star Painting brand. "The key is not to look at brokers as a replacement, but as an addition to what you are doing." Hawkins is a relatively recent fan of using brokers for solid franchise leads. The franchising veteran began using brokers in 2015 after his Waco, Texas-based services brands holding company, The Dwyer Group, acquired Five Star Painting (and soon after, Service Brands International, operators of Molly Maid, Mr. Handyman, and ProTect Painters). Hawkins took advantage of existing broker relationships for expanding the brand. "People who don't want to use brokers don't want to pay a fee," he says. "But what they are missing out on is an extra good candidate who is 99 percent of the time very well qualified." Also, he says, "99.9 percent of leads we get from brokers have never come in our site, and the closing ratios with brokers are higher." While franchise brokers often call themselves consultants, to understand the difference between traditional broker services and true consultants, it is important to follow the money. Consultants work with would-be franchisees on a fee-for-service basis to find the right franchise fit based on the prospect's needs, experience, and budget. They look for all available franchise opportunities with the best interests of the buyer in mind. Brokers are lead generators that franchisors hire to funnel potential buyers to their brand. They generally are paid a commission (or "success fee") when a sale closes. Confusion about which is which is rampant in the industry. Beyond the distinction noted above, many brokers call themselves consultants because it sounds more impressive for marketing purposes. With brokers it is all about the lead. Seasoned franchisors say the decision to hire brokers requires weighing the costs of doing business on the road to meeting the goals of your brand, as well as the stage of your franchise system and available resources. "If I was a young, emerging brand and needed points of presence to get my brand into a market, I think brokers could be exceedingly valuable," says Pete Lindsey, vice president of franchising at Sports Clips. "I think you are going to give away most of your franchise fee at that point, so you've got to be resigned to that fact." *Editor's note: Since this story was completed, we've learned that Lindsey has left Sport Clips. Indeed, brokers can offer tremendous advantages--at a cost, up to a 40 or 50 percent commission from the initial franchise fee, depending on the franchise investment. Success fees typically range from $10,000 to $15,000 or more if the prospect signs on. Franchisors also can expect to shell out additional money for broker conventions, and for communication and education strategies to keep the brand on the "favorites list" of their various broker networks. Alex Roberts is an Ann Arbor-based consultant with FranChoice, which calls itself a "franchise consulting" firm, and its team "consultants." There is no fee to the prospective franchisee; the franchise company pays any fees. Working with its consultants is similar to working with an executive recruiter, according to the company. Roberts believes a solid broker-franchise fit is a wise investment. Before venturing into his current role, he spent more than a decade in franchise development, including stints as president of Mr. Handyman and ProTect Painters, and vice president of franchising for Pet Supplies Plus. He says that when he was on the franchisor side that his own relationships with brokers were "imperative for our growth." Roberts says the prequalified front-end filtering brokers provide can help a franchise grow exponentially, while saving a brand time and money. When the job is done right, Roberts estimates that 1 of 10 high-quality broker-generated leads will result in a sale, compared with 1 in 200 by a franchisor wading through internally driven leads. "The nice thing about the broker is that it is a variable cost. You're only paying if they do a deal," says Roberts. "On the other side, you can spend $200,000 a year--and I have when I was a franchisor--in a lead generation budget, only get a couple of deals out of it, and your cost per deal is completely out of whack. It is nice to have a variable cost and know that with every commission you are paying you are adding unit count, value to your franchise system, and value to your individual franchisees by continuing to bring them new franchisees who are going to grow and prosper in the system." The rising use of brokers in franchising is not without controversy. While organizations such as the Franchise Brokers Association, founded in 2008, are hard at work to raise the bar for the franchise broker community, there are no licensing or certification requirements for the industry. "The reality is that anyone can sign up to be a franchise broker," cautions Little, who has worked with franchise brokers in various capacities since 2002. The growing number of franchise companies fighting over a limited pool of prospects has also made waves. Stiffer competition for prospects has resulted in some brokers commanding or demanding royalties and ongoing compensation following a sale, and stories of franchisors "enticing" brokers to send leads their way with top commissions and other incentives that create a less-than-level playing field. Brokers also have been known to make representations that may ultimately open up the franchise to liability or franchisee dissatisfaction. While there are a lot of good business brokers out there, Lindsey says, Sport Clips uses only "go-to brokers" for one or two deals a year, down from broker-generated franchise sales of 35 percent when he joined the brand in 2011. "We were paying a substantial amount of money on every broker lead that converted to a sale," says Lindsey. "The challenge was that it got to the point where it wasn't about the financial health of the franchisor or the unit economics of the franchise itself. It became about 'How much money are you paying me to get this lead to convert to a sale?' I felt like we were in an arms race. We decided we weren't going to participate in that. Our brand was strong enough that we could get creative in our own lead generation activities and drive the brand growth that way, and that is ultimately what we have done." Whether you're a new, emerging, or established brand, the competitive landscape and lack of barriers to entry make it crucial for franchisors to work with brokers and consultants who have a strong reputation. Do your homework. Ask lots of questions. And look for franchise experience and someone responsive to your brand's and your industry's specific needs. "Find out how they value franchises, how they look at unit economics, and how they position the brand with any prospects," says Lindsey, who recommends also getting a feel for compensation issues and possible competitors in a broker's portfolio. The top brokers are selective in the franchisors they represent. Roberts, whose experience as franchise development executive also includes retail, food, and health and wellness companies, looks for a proven model that has been successfully replicated, and for strong unit economics. "Ultimately, it comes down to your franchise system demonstrating success by selling units, opening units, launching them successfully, having their franchisees reach their financial and lifestyle goals, and by having strong validation in their system," he says. "There is nothing greater from a franchise consultant's perspective than to say, 'I have all the confidence in the world introducing my candidate to this company because they are demonstrating this pathway of success.'" With 500 Right at Home franchises operating and 400 territories available, Little stresses the importance of strong validation as vital to getting the franchise broker partnership off to a successful start. "If you launch with a broker network and make a big splash and get a bunch of leads, all of those leads will eventually talk to your franchisees," he says. "If the franchisees are not validating well, then all those leads will go away. Very seldom do you get the chance to rekindle that momentum with those broker networks." Startup brands may need to work harder to find the right broker fit--or even a broker willing to work with them. The largest broker networks represent a relatively small number of brands, typically 100 to 200, a dilemma for new franchise companies that may get turned down for representation or find the use of brokers too expensive. "As a rule, if you don't have strong unit economics and don't have a strong offering you are going to pay more to the broker community for leads," says Lindsey. "If you have strong unit economics and a strong profile, you are less reliant on brokers because franchisees are going to find you anyway. Unless you are working with a broker that you know is straight up and is actually looking out hard for you as a client, I would say buyer beware." Emerging brands that lack franchising experience or whose units may not have been open very long, may look for leverage by partnering with franchise development companies to accelerate growth (see page 40). Brokers aren't right for every franchise. Variables include The leads they generate are largely suited for lower investment franchises (roughly $150,000 and less), such as mobile, home, and office-based brands. Franchisors also must consider territory availability, an investment level consistent with the leads that brokers generate, and a franchise system with an internal infrastructure to work the leads. "The last thing a broker wants is to send a really good lead to a bad or mediocre sales team," says Little. "They want to make sure the lead they send over is going to be very well taken care of; that the particular referral has a high chance of becoming a franchisee." The best franchise brokers can balance working with multiple brands and giving your brand the care and attention it needs. However, the broker-franchisor relationship is a two-way street that takes work to maintain, and it is up to franchisors to consistently monitor their broker relationships and provide training and updates about the state of their brand. "You have to keep yourself in front of the broker consistently," says Hawkins. "We have a person who markets out to the broker on a consistent basis for top-of-mind awareness." "It requires solid relationships and a lot of follow-up," says Lindsey. It is also important to track and measure results. If your lead-generation strategy is not paying off, you may need to look inward, says Little. "If you are an existing franchisor working with brokers, and your sales team is good, you have a good profitable business model, available territory, and an investment level that is under $150,000 and you are not seeing deals," he says, "one of those four things is flawed." To keep their relationship productive, franchisors must present their brokers with a strong franchise profile and continual communication. Roberts suggests sending your brokers e-newsletters, articles about successful franchisee launches. "There is nothing better than seeing a story about an ex-pharmaceutical sales rep who just bought a printing franchise and is using his business-to-business skills to build and grow the brand. It is a good way to visualize some of those different matches," he says. No matter how established your brand is, franchisors say it's smart to maintain connections with their brokers and consultants for resales as the brand matures. 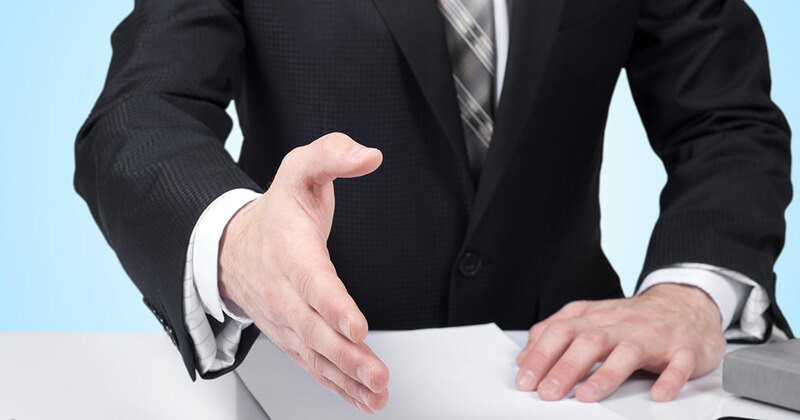 In the end, a solid franchise-broker partnership is about relationships and mutual trust. "Over time you get a sense for which brokers are doing a good job, says Little. "There are some who just play the game and send as many candidates as they can, and some are going to make it and some are not. But there are others that send candidates over, and when you see their name you know that there is a good chance it is going to close." Working successfully with franchise brokers and consultants as part of a larger strategy to boost franchise sales is more than just listing your company with a reputable broker. The more effort you put into the relationship, the more the brand will benefit, says Don Daszkowski, founding member of the International Franchise Professionals Group. He encourages franchisors to work with multiple franchise broker groups and consider the following tips to make the most of the relationship. Keep franchise broker listings up to date. Make sure your franchise listing is completely current and includes an accurate unit count. If you were selling your house, would you use outdated photos or leave off that new addition? Franchise brokers are busy, particular, and many require a franchise to meet specific requirements before presenting a brand to a client. For example, if a broker will only show a potential prospect franchises with 20 or more units and published information on your 35-unit brand still shows 15 units, you are missing opportunities for a sale. Share any new updates about your brand. Take advantage of every opportunity to boast about your brand. If your franchise is featured in a news article, don't just share this with potential franchisees, spread the word with your brokers too. Reading a print or online news story about your franchise can be invaluable to help brokers gain additional insights into your business model--and help them present your brand to candidates more effectively. "There have been times when I couldn't really connect with a concept by reading the franchise's own description of their company, but simply watching a one-minute news clip helped me to completely connect with what the franchise had to offer," says Daszkowski. Get the brokers to know you, not just the brand. The franchisor-broker relationship is often more about the individuals involved than it is about the franchise itself. Meet the brokers face to face. Get to know them personally and deals will happen. Much like franchise sales, this business is about building relationships. Finding ways for a broker to get to know the people behind the franchise is just as important as educating them about the brand. If your CEO or other executives have a great story to tell, connect them with the brokers. Brokers need the same emotional connection to your brand that you present to your candidates. When they make this connection they are much more likely to present your brand well. Meet the brokers in your area. This is the easiest thing to do. "Often people will tell me they are 'too busy' to attend more meetings," says Daszkowski. "Find the time to get out every other week for a lunch meeting with a local broker. Use this time to get to know them and let them get to know you--no sales pitch or presentation, but rather more like a lunch you would have with co-workers." Brokers sometimes need to make a stronger personal connection to add your brand to their list of top franchises to present to prospects. Invite brokers to your discovery day. Extending an invitation to the same discovery day you host for potential franchisees is one of the best ways for a broker to connect with you and your brand. Offer them the same perks that you would potential franchisees (paid travel, lunch, dinner, etc.). The education they receive will be exactly what they need to understand your brand and present it accurately and effectively to their clients. For example, if an initial franchise fee is $10,000 for a 10-year franchise agreement, revenue must now be recognized as $1,000 per year for 10 years. The same holds for multi-unit development: franchisors will no longer recognize all initial franchise fees as revenue when the first location opens its doors, but rather when each location opens. "Effectively, what this new regulation is doing is potentially reducing the equity balance of the franchisor," says franchise attorney Charles Internicola, managing partner and founder of The Internicola Law Firm. The new revenue recognition standards take effect this year for large, publicly traded companies, and in 2019 for private companies. The FASB has clarified that multiple pre-opening performance obligations, such as site guidance and training provided to help new franchisees launch, can be recognized as revenue when the services are provided. Whether or not franchisors will attempt to spread out the fees owed to brokers and consultants over the term of the franchise agreement, there already is talk of pushback from the broker community if they do. This could negatively affect franchisor-broker relationships, but it's still too early to tell and both sides have an interest in working it out so the deals--and the commissions--continue to flow. Don Daszkowski, founder of the International Franchise Professionals Group, doesn't believe that franchise consultants will or should be affected by the new accounting regulations. "Franchise consultants' commissions are based on a percentage of the franchise fee, but these commissions should be looked at as marketing dollars to the franchisor," he says. For example, he says, "If a franchisor spends $15,000 in marketing dollars to a franchise portal to recruit a new franchisee, they cannot ask the franchise portal to amortize their marketing spend over a 10-year period. A consultant's commissions should be treated the same way." "This is very much something that is a wait-and-see to see how this progresses," says Internicola. "State regulators haven't modified any of their requirements based on these new accounting recognition policies, so we don't know if we can get movement from the states. This is definitely a fluid situation."